Are You Ready For 'The Great Duck Race'? There's less than 3 weeks until the E-Learning Awards. But forget worrying about what you're going to wear, how you're going to get there or where you're going to stay, the most pressing concern right now is HAVE YOU GOT YOUR DUCK YET??? So as the big night approaches, here’s a reminder for duck designers everywhere of what’s in store (as originally printed in E-Learning Age). Guests at this year’s E-Learning Awards on 8th November will be invited to take part in an innovative competition designed by the official Game Sponsor for the 2012 awards, Unicorn Training. This is a completely new initiative for the event and the initial challenge for Unicorn’s design team was to come up with something that would utilise specialist e-learning technologies, support a worthwhile cause and provide a bit of fun for the guests, without distracting from the main purpose of the evening. A range of different ideas and approaches were discussed by the Unicorn team before settling on the two-stage competition that is ‘The Great Duck Race’. Stage 1 starts when you book your place at the Gala Evening. Each guest will receive a unique login to the duck race web site www.thegreatduckrace.co.uk. The web site takes you ‘down on the farm’, where you’ll meet four web-footed design specialists each of whom will provide hints and tips to help you to build a ‘race-winning’ duck. You have 100 bills to spend and the aim is to allocate this money between the four design features in such a way that you achieve the ideal combination of Stability, Intelligence, Speed and Power which will enable your duck to successfully negotiate the tricky stretch of river that hosts The Great Duck Race 2012. Because each of the specialists has a vested interest in promoting their particular design feature, the web site also contains a copy of the respected and independent newspaper, the ‘Duck Racing Post’. The current edition contains a special supplement: ‘How to win The Great Duck Race 2012’which provides additional information to help you in your quest to build the perfect racing duck, including an interview with last year’s race winner. A word of warning! Underpinning the design area of the web site is a sophisticated simulation model which calculates your duck’s chances of winning the race based on a wide range of statistical data. If you allocate your money without giving proper consideration to the task at hand, your duck is unlikely to win the race, or even complete the course! When you are happy with its design, you enter your duck for the race. Be careful, because there is no going back once you have made the ‘Enter Duck’ decision. The duck’s name and features will be displayed on the web site as a ‘Top Trumps’ style card for you to bring with you on race night. 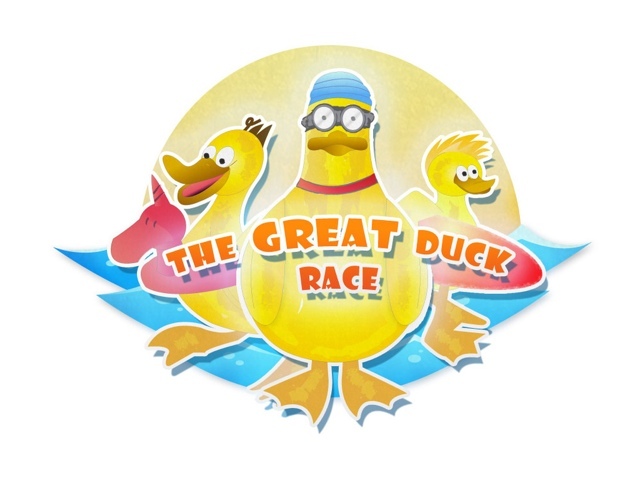 Stage 2, ‘The Great Duck Race 2012’, will take place at the Awards ceremony on 8th November, bringing the Gala Evening to a fun-filled conclusion. The race itself, which will last just over a minute, will be shown on the big screen with a real-time leader board, allowing guests to cheer on their favourites and track the progress of the ducks at the front of the field. A live race commentary by the guest presenter will add to the excitement of the race.